Professionally trained helper animals—such as guide dogs for the blind—offer obvious benefits to us human folk. However, the average domestic pet, such as a dog, cat, rabbit—even a goldfish—can also provide us with many therapeutic benefits. Pets can ease our loneliness, reduce our stress, promote social interaction, encourage exercise and playfulness, and provide us with unconditional love and affection. Of course, pet ownership also comes with many responsibilities, and should not be undertaken lightly. To best enjoy a healthy, nurturing relationship with a pet—and experience the many therapeutic benefits a domestic animal can offer—it’s important to choose a pet that’s right for your lifestyle. Increasing exercise. Exercise doesn’t have to involve boring repetition at a gym. Taking a dog for a walk, riding a horse, or simply chasing a kitten around are fun ways to fit healthy daily exercise into your schedule. Providing companionship. Isolation and loneliness can make disorders such as depression even worse. Caring for a living animal can help make you feel needed and wanted, and take the focus away from your problems. Most pet owners talk to their pets, some even use them to work through their troubles. Helping meet new people. Pets can be a great social lubricant for their owners. Dog owners frequently stop and talk to each other on walks or in a dog park. Pet owners also meet new people in pet stores, clubs, and training classes. Reducing anxiety. The companionship of a dog can offer comfort, help ease anxiety, and build self-confidence for people anxious about going out into the world. Adding structure and routine to your day. Many pets, especially dogs, require a regular feeding and exercise schedule. No matter your mood—depressed, anxious, or stressed—you’ll always have to get out of bed to feed, exercise, and care for your pet. Providing sensory stress relief. Touch and movement are two healthy ways to quickly manage stress. This could involve petting a cat or taking a dog for a walk. Helping you find meaning and joy in life. As you age, you’ll lose things that previously occupied your time and gave your life purpose. You may retire from your career or your children may move far away. Caring for a pet can bring pleasure and help boost your morale and optimism. Taking care of an animal can also provide a sense of self-worth. Staying connected. Maintaining a social network isn’t always easy as you grow older. Retirement, illness, death, and moves can take away close friends and family members. And making new friends can get harder. Dogs especially are a great way for seniors to spark up conversations and meet new people. Boosting vitality. You can overcome many of the physical challenges associated with aging by taking good care of yourself. Pets encourage playfulness, laughter, and exercise, which can help boost your immune system and increase your energy. As part of the disease, Alzheimer’s patients may exhibit a wide variety of behavioral problems, many related to an inability to deal with stress. Research at the University of California at Davis School of Veterinary Medicine concluded that Alzheimer’s patients suffer less stress and have fewer anxious outbursts if there is a pet in the home. Pets can provide a source of positive, nonverbal communication. The playful interaction and gentle touch from a well-trained, docile animal can help soothe an Alzheimer’s patient and decrease aggressive behavior. In many cases a patient’s problem behavior is a reaction to the stressed response of the primary caretaker. Pets can help ease the stress of caregivers. Cats or caged animals may be more suitable than dogs, which generally require more care and can add to the burden of someone who’s already looking after an Alzheimer’s patient. 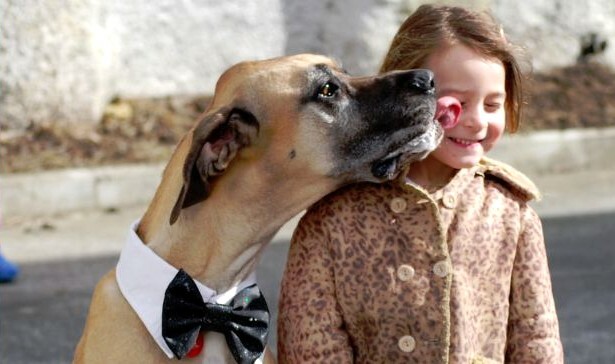 Not only do children who grow up with pets have less risk of allergies and asthma, many also learn responsibility, compassion, and empathy from having pets. Unlike parents, pets are never critical and don’t give orders. They are always loving and their mere presence at home can help provide a sense of security in children. Having an ever-present dog or cat, for example, can help ease separation anxiety in children when mom and dad aren’t around. Studies have also shown that pets can help calm hyperactive or overly aggressive kids. Of course, both the pet and the child need to be trained to behave appropriately with each other. While people who have pets tend to be happier, more independent, and feel more secure than those without pets, it’s important to select the type of pet that is best for you. You’ll benefit most from having a pet whose needs are compatible with your lifestyle and physical capabilities. Little outdoor activity– If most of your time is spent at home, consider pets that would be happy to stay with you in that environment. You may enjoy playing with or cuddling a cat or a bunny; watching fish or reptiles; or talking or singing along with a bird. High activity level– If you’re more active and enjoy daily activities outside of your home, especially walking or running, a dog might be right for you. Canine companions thrive on outdoor exercise, keeping you on the move. Small children and the elderly – Families with small children or elderly living in their homes should consider the size and energy level of a pet. Puppies and kittens are usually very active, but delicate creatures that must be handled with care. Large or rambunctious dogs could accidentally harm or knock over a small child or adult who is unsteady on their feet. Other animals in household– Consider the ongoing happiness and ability to adjust of the pets you already have. While your cat or a dog might love to have an animal friend to play with, a pet that has had exclusive access to your attentions may resent sharing you. Home environment– If a neat, tidy home, free of animal hair, occasional muddy footprints and “accidents” is important, then a free-roaming dog or long-haired cat may not be the best choice. You may want to choose pets that are confined to their quarters, such as fish, birds, hamsters, or reptiles. Landscaping concerns– With certain pets, your landscaping will suffer. Many dogs will be tempted to dig holes in your lawn, and dog urine can leave yellow patches—some say unaltered females cause the most damage. Time commitment – Finally, and perhaps most importantly, keep in mind that you’ll be making a commitment that will last the lifetime of the pet – perhaps 10, 15, or 20 years with a dog or cat; as many as 30 years or more with a bird. Animal-assisted therapy involves the use of volunteers’ animals such as horses, dogs, cats, rabbits, birds, and fish to interact with patients suffering from disorders such as schizophrenia, depression, anxiety disorders, eating disorders, attention-deficit hyperactivity disorder, autism and a host of developmental disabilities. The animals have been shown to improve mood and reduce anxiety. Pets can also be used for animal-assisted activities. A variety of different organizations offer specially trained animals to visit people in children’s hospitals, assisted living facilities, nursing homes, hospice programs, shelters, and schools. During these visits, people are invited to pet and stroke the animals. 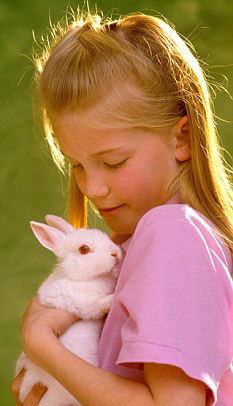 Some might groom a dog, hold a rabbit in their lap, or have a cat sit on their bed, for example. Some dogs perform tricks or obedience routines to entertain patients and help take their minds off their problems. To arrange for pets to visit your facility or to volunteer your pet for animal-assisted therapy or animal-assisted activities, see Finding Therapy Pets in Resources and References section below. Imagine that you own a house that is absolutely perfect and beautiful with all the necessities, except that it has some rodents inside. When you call the exterminators, they tell you that they won’t be able to target just the rodents, as these rodents are of an especially stealthy breed. They tell you they’re just going to set off a series of explosions in your house that may kill the rodents. They warn you, “Oh yeah, it may destroy some of your house in the process, but, hey, you want those rodents out of your house, right?” There’s probably no way you would allow that; instead, you would do some research and find other, more specific and less generally destructive ways of getting rid of the rodents. The allegorical exterminators’ logic makes no sense; yet, it’s the same logic that doctors who prescribe chemotherapy follow. Like the exterminators’ explosions, chemotherapy doesn’t exclusively target cancer cells; it also harms your good cells, destroying some of your body– your “house” – in the process. As a result, many chemotherapy patients lose their hair, develop immune deficiencies, lose weight and vomit. Chemotherapy poisons your body as a whole in an attempt to kill the cancer cells before the “treatment” brings your body to an unrecoverable state. 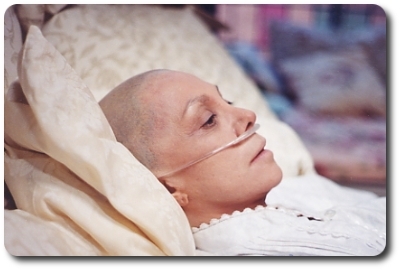 As Gary Null and James Feast write, “(After chemotherapy,) the hope is the cancer is going to be totally dead and you are only half dead and recover.” Unfortunately, some people are more than “half dead” after chemotherapy and remain damaged for the rest of their lives, no matter how long or how short that life may be. They never realize that according to many alternative health practitioners, there are safer ways of combating many types of cancer. Anne’s account reflects the feelings of all too many cancer patients who have suffered through months of often debilitating chemotherapy. The side effects that chemotherapy patients feel and others see – the extreme nausea and vomiting, the hair loss, the weight loss – are indicative of the intense havoc that chemotherapy is causing within the body. According to the Life Extension Foundation,chemotherapy drugs are “cytotoxic,” meaning that “they kill cells that are extremely active.” Cancer cells are, of course, extremely active. However, so are the cells of the hair and the immune system, for example, which accounts for chemotherapy’s destructive side effects. As if these side effects are not enough,cancer therapy commonly includes surgery and radiation, both of which have their own dangers and side effects. As Professor Null writes in his Complete Encyclopedia of Natural Healing, “The mainstream medical establishment often prescribes mastectomy, radiation and chemotherapy to treat cancer, an approach that has been described as a slash-and-burn strategy.” The treatment for breast cancer is unfortunately often the general rule among cancer treatment– cut off the affected organ, poison the body with chemotherapy and then harm the body even more with radiation. InGet Healthy Now, Professor Null describes one woman’s experience with mainstream medicine’s approach to breast cancer treatment: “Three days later, she had her breast lopped off. That was followed up with lots of chemotherapy. Her hair fell out and she vomited 24 hours a day. She couldn’t keep any food down. Then they did radiation and her skin burnt up and two of her ribs broke.” He concludes, “Most people don’t know how dangerous radiation is. I had seen enough. I wouldn’t touch any of that medicine with a 10-foot pole.” Surgical removal of the cancerous body part also has its own aftereffects, of course, requiring not only the normal recovery after any surgery, but also coping with the psychological effects of having a body part removed. Many people also think that surgery can sometimes do more harm than good: Biopsy, for example, may in fact spread cancer cells, according to Professor Null. Furthermore, the most extreme example of unnecessary cancer therapy– treatment for false positive cancer diagnoses – is more common than we’d like to believe, according toCritical Conditionauthors Donald L. Barlett and James B. Steele. If, as many people believe, mainstream cancer treatment is sometimes ineffective and always harmful to the body as a whole, then what is the alternative? Goldberg writes that Ukrain, which is made from the alkaloids of the greater celandine plant and the pharmaceutical Thiotepa, “can do everything chemotherapy does but without the side effects, so it renders chemotherapy largely unnecessary.” The beauty of Ukrain is that it, unlike chemotherapy drugs, it only targets the cancer cells and not your healthy ones. Furthermore, good nutrition – vitamins, minerals, fiber, fresh fruit and vegetables, juices and medicinal herbs– can do wonders against cancer. Of course, you need to discuss a treatment plan that is right for your type of cancer and your body with a medical professional, preferably a naturopath. 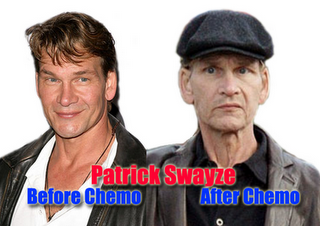 But before you say yes to chemotherapy, remember what it does to your body and consider all available treatments. and feed it to our kids. business as usual from the meat industry. won’t give you renal failure despite the traces of manure. It’s no wonder that federal officials count 61 deaths and 73,000 cases of E.
industry for three years in Great Britain, where consumers fought back. — all because of an inherently filthy system. when Upton Sinclair wrote The Jungle. ” Callicrate said. 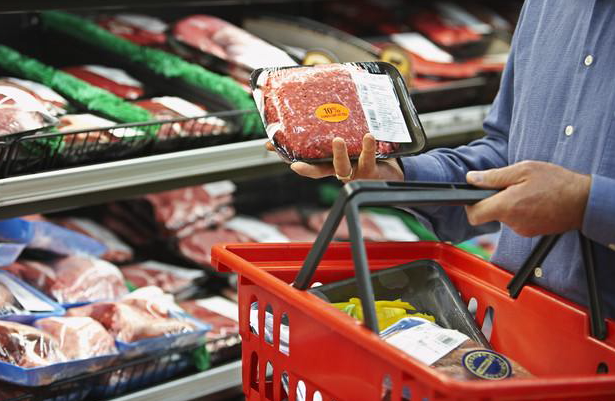 off herds for a fraction of their value, meat prices remain unmoved. They don’t want us to know. it’s the only way we can be sure the product they’re selling won’t kill us. 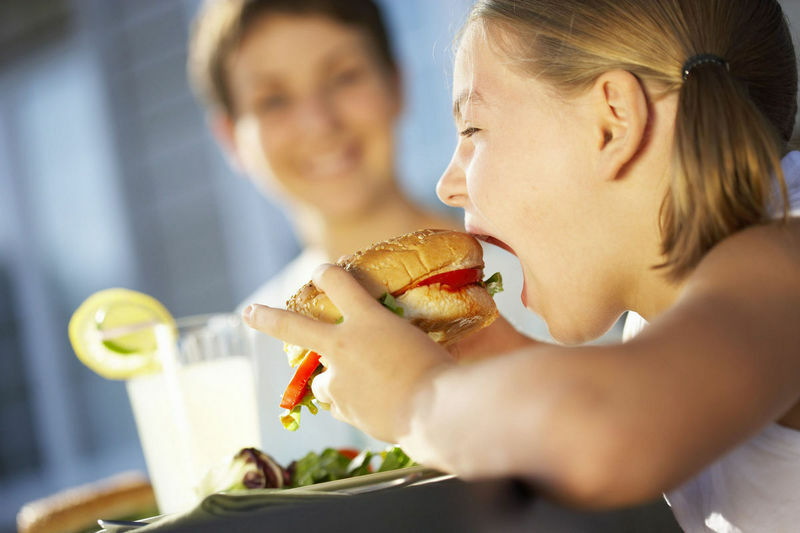 Children who eat a Mediterranean diet have a lower risk of developing asthma, but eating three or more burgers a week is linked to a higher risk, research suggests. Researchers looked at 50,000 children from 20 countries. 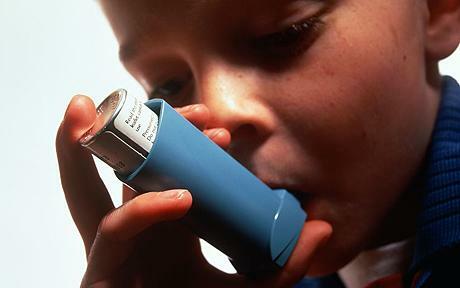 Writing in the journal Thorax, they said eating fruit, vegetables and fish appeared to protect against asthma. But they said eating burgers could be linked to other unhealthy habits, which may be the real trigger factor. The study looked at the habits of children in both wealthy and poorer countries between 1995 and 2005. Parents were asked about their children’s diets, and whether they had ever been diagnosed with asthma or had suffered wheezing. The effects of their diet seemed to vary depending on where they lived. Fruit and vegetables appeared to be more protective in less affluent parts of the world, while eating lots of fish was more helpful in richer countries. Eating at least three burgers a week was linked to a greater risk of asthma and wheezing, but only in wealthier countries. Dr Gabriele Nagel, one of the authors, said this may be because asthma is a collection of symptoms rather than a single condition, and different things may trigger it in different parts of the world. “This gives us more understanding of how asthma affects different people, and its effects in developing as well as developed countries,” she said. The paper suggested that a diet rich in fruit and vegetables may be helpful because of the protective effects of antioxidants and vitamin C.
High levels of unhealthy fats in burgers could increase the risk of asthma. However, the authors said children who ate several burgers a week were likely to have other unhealthy lifestyle habits as well. The study did not adjust for levels of obesity. Asthma UK said the paper helped add to the understanding of how asthma and diet are connected. 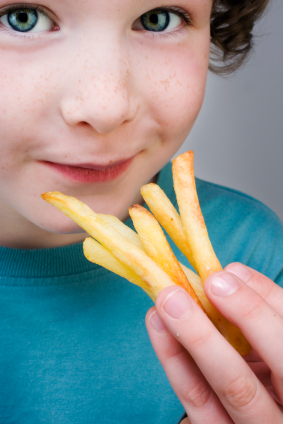 But it urged caution because children’s weight can have a significant influence on asthma symptoms. Dr Elaine Vickers, research relations manager at Asthma UK, said: “Previous studies have shown that a Mediterranean-style diet rich in fruit and vegetables can help to reduce a child’s risk of developing asthma symptoms. Dr Keith Prowse from the British Lung Foundation said further investigation was needed for more conclusive evidence about the effects of diet and lifestyle. “We would like to reinforce the need for children to have a balanced diet and healthy lifestyle,” he said.